Following the enforced disappearance of a Dubai princess, UAE and India continue to be in international spotlight as there is no confirmation of Sheikha Latifa’s wellbeing or whereabouts. With the high profile UN involvement, can these countries remain silent? The UN Working Group on Enforced or Involuntary Disappearance (UN WGEID) has transmitted the urgent communication, filed by Guernica 37 International Justice Chambers, to the United Arab Emirates (UAE) and the Republic of India in order to provide them the opportunity to respond to the allegations concerning their involvement in Sheikha Latifa’s enforced disappearance. Additionally, answers are being demanded for a joint military operation culminating in an unprovoked attack on a US-flagged yacht in international waters, and the unlawful abduction, arbitrary detention and ill-treatment of all those persons on-board. Sheikha Latifa Mohammed Bin Rashid Al Maktoum has been missing since 5 March 2018 after her escape attempt from Dubai came to a brutal end. Sheikha Latifa, a Dubai princess and the daughter of Sheikh Mohammed bin Rashid Al Maktoum, the ruler of Dubai, Vice President and Prime Minister of the UAE, was reported missing in March along with a dual French-US national, Hervé Jean Pierre Jaubert, and a third person, Ms. Tiina Jauhiainen of Finland, a long-time friend of Sheikha Latifa. “We call on the States concerned to respond to the UN as a matter of urgency, to release Sheikha Latifa and allow her to leave the UAE if that is her desire and to provide adequate reparations to those persons who were abducted, detained and beaten by Indian and UAE State Security officials”. 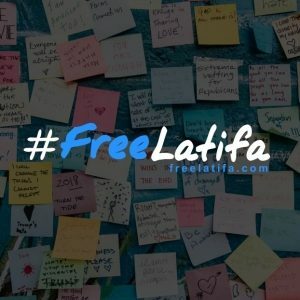 Latifa’s friends, supporters and volunteers – organisations and individuals worldwide – see the work by UN as a milestone to bring Latifa both justice and freedom.